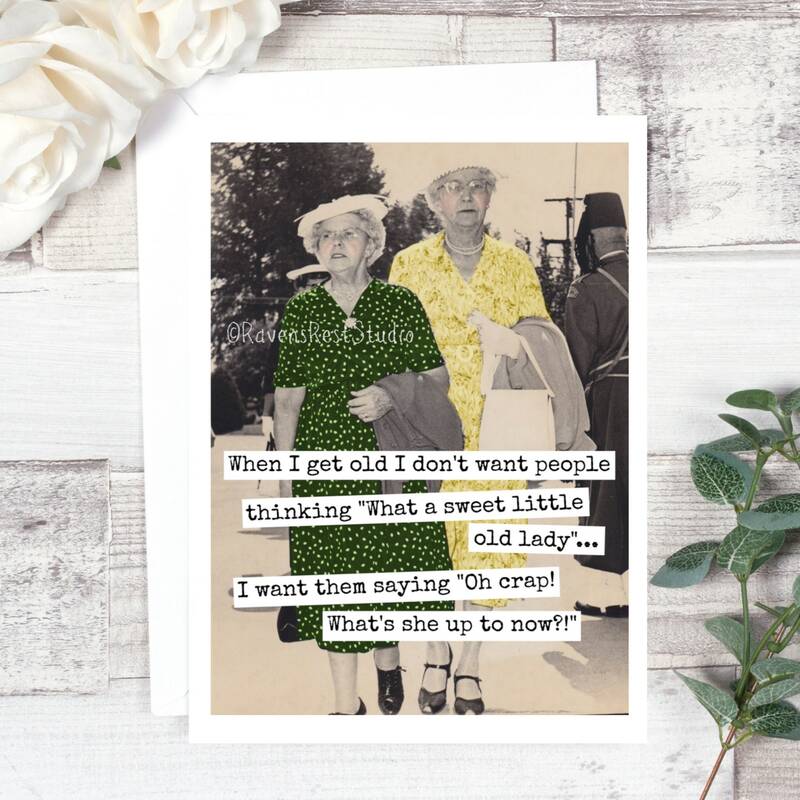 This card features two vintage friends and reads: "When I get old I don't want people thinking "What a sweet little old lady"... 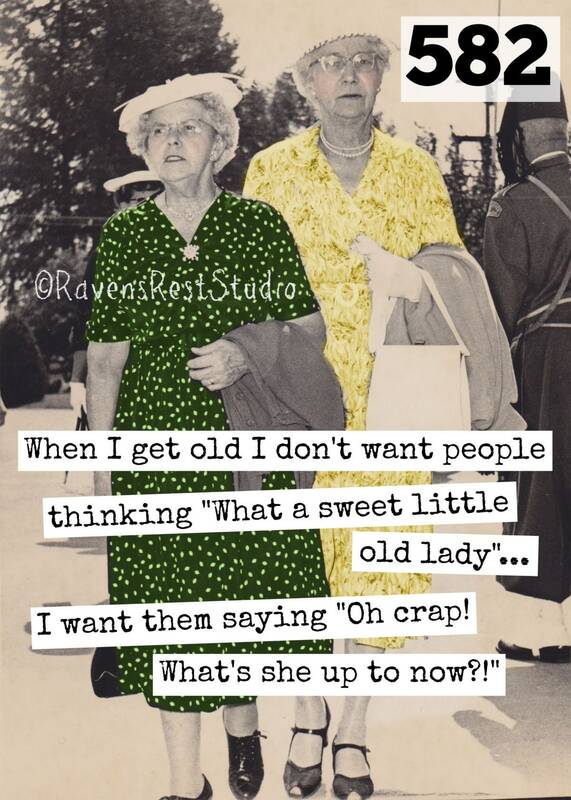 I want them saying "Oh crap! What's she up to now?! ".